Noon-3pm, in front of City Hall, 9th and Asbury Avenue. A complete schedule of entertainment leading up to fireworks at midnight. 2pm at the Music Pier, Boardwalk & Moorlyn Terrace. 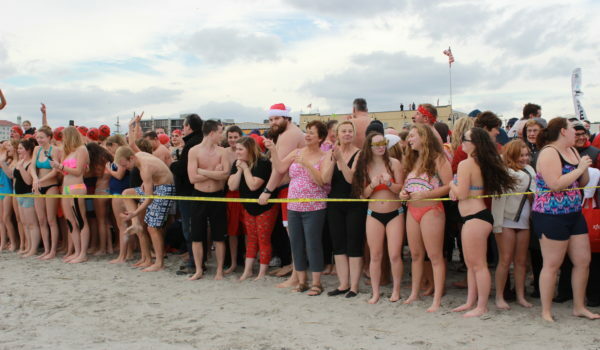 Featuring Ocean City’s first dip in the ocean for the New Year. 1pm on the Ocean City Boardwalk.